The Boat Room, as its name implies, contains a log boat estimated to be 1000 years old, so is early medieval in origin. It is 25 foot long and was found in 1895 on the shores of Lough Errill which borders Cavan and Leitrim. 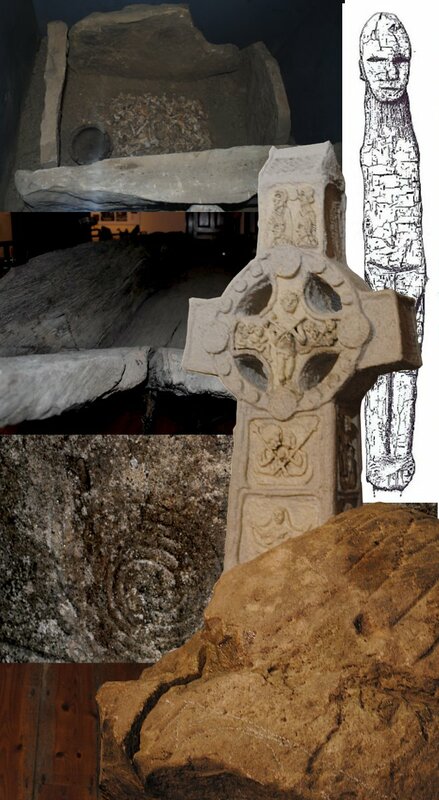 There is much more on display here than a boat, however, including the Killycluggin stone, which is one of the most famous pieces of Celtic and Pagan art in Ireland. This gallery also houses a cist grave containing the partially cremated remains of a thirty year old man who died 4000 years ago.